When the opening credits of John Sturges’ The Magnificent 7 come to a close, Elmer Bernstien’s memorable western score shifts dramatically as an army of bandits on horseback ride into the frame. The music is no longer exciting and adventurous. It’s threatening and seeps with aggression. The reason is very simple. 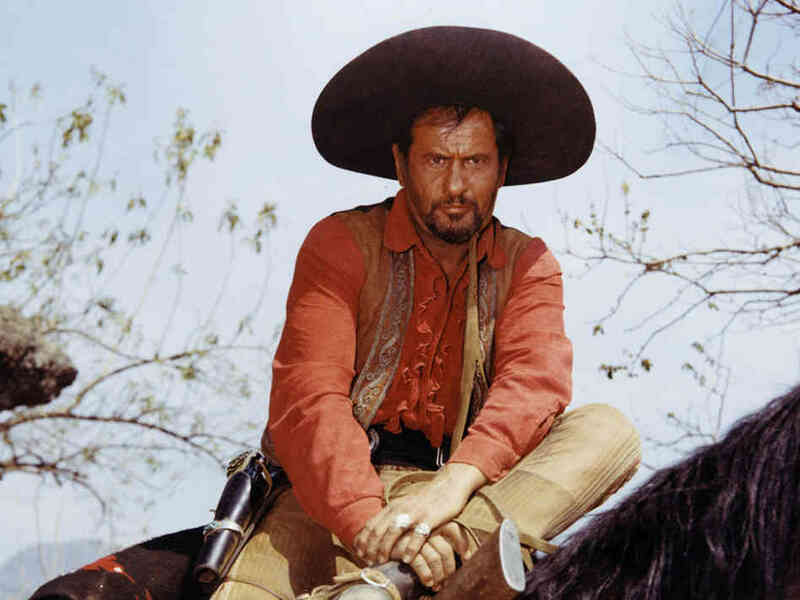 Eli Wallach makes his presence know for the opening scene of this classic western. 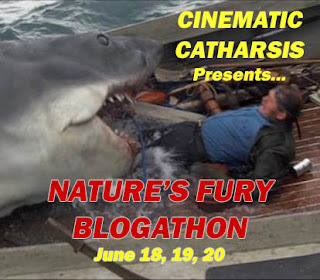 Wallach’s Calvera is my contribution to the villain blogathon hosted by a trio of fun sites. Speakeasy, Shadows and Satin and Silver Screenings. Clad in a red silk shirt in front of an army wearing nothing but greys and browns allows Wallach’s bandit leader Calvera to stand out all the more in this crowd of dusty bandolero’s. 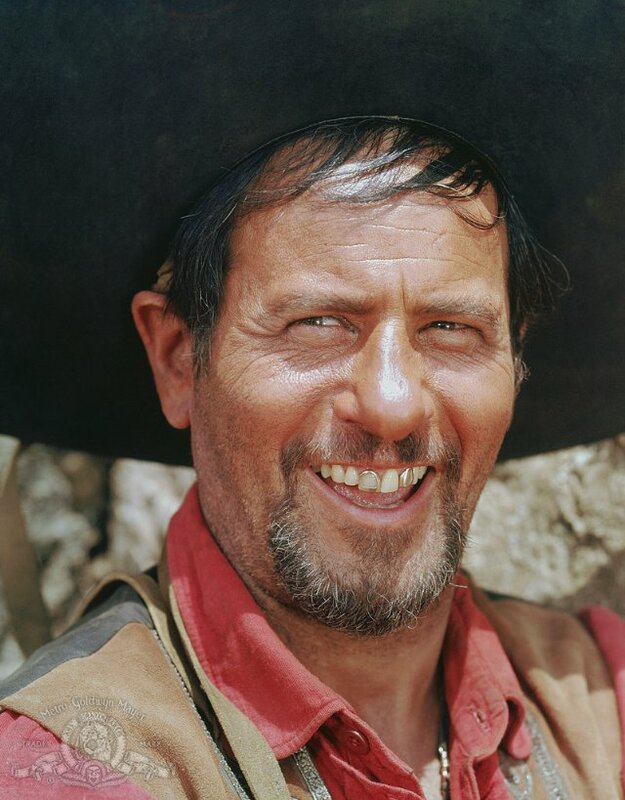 To set the stage for the film, Wallach has led his riders into a small Mexican farming village that he continually terrorizes as he pleases and takes whatever his men need to survive leaving the villagers just enough to get by on. Preaching to the cantina owner Sotero, Wallach tells of his problems and moves around as if the cantina belongs to him, from emptying the cigar case to grunting and slapping anyone who talks back. While riding out he makes a point of leaving a new widow behind. Upon the seven minute mark in the film Wallach rides out and doesn’t return for another hour and 2 minutes! It’s during that time that his legend grows as the peasant farmers seek the help of gunslingers and much of the conversation centers around Eli’s Calvera. From our point of view it’s easy to look back and see the now legendary actors needed to take him down. We get the coolest man in black this side of Johnny Cash in Yul Brynner joined by Steve McQueen, Charles Bronson and James Coburn. All four would leave a long shadow in film. Robert Vaughn, Horst Buccholz and let’s not forget Brad Dexter round out the Magnificent 7. The next time we see Wallach he is confronted by the seven. Appearing truly insulted by the farming community and the hiring of Brynner and company he spits out a great line to Brynner, “If God didn’t want them sheared he would not have made them sheep.” He’s cocky and arrogant, “Generosity that was my first mistake.” When told to ride on the mood shifts and the swagger changes to a grimace and anger. The actor’s gold plated teeth clearly showing through the snarl. Wallach is a treasure in this role and is clearly enjoying himself . He has all the props to make him bigger than life from the black hat and the large rings to the bullets around his waist that look as if they are made of gold. Chewing on a cigar he spits out many of his lines when things are not quite going his way. As with all villains we know the basic outcome, his downfall is due to a repeat of his first mistake, generosity. That and over thinking what to do with the seven. Wallach who was billed second to Yul Brynner here is no caricature. His character is fully fleshed out and I love how you can see the wheels spinning as he contemplates the many situations he finds himself in. 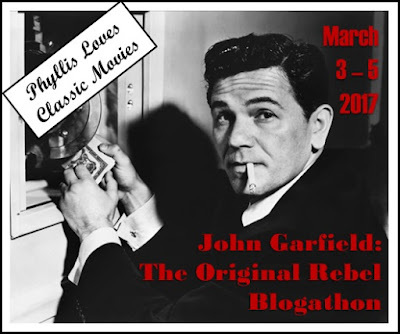 as well as hearing his commentary on the blu ray of the film leaves one admiring his energy and the fun he had on set creating the character. This was the first western in his long career that included future westerns such as the Leone epic as well as other titles How The West Was Won and MacKenna’s Gold. So the next time you here the trivia question “name the actors who played the Magnificent 7”, throw Eli’s name in there as well as he deserves some recognition for his Calvera. Excellent appreciation of the actor and the character there, Mike. I remember when I first saw the movie – it was a TV showing and I was maybe 9 or 10 years old – and I was very impressed by Wallach’s Calvera. You refer to his being off the screen for so long after that memorable opening and I agree it’s an effective strategy. Back when I was a kid the effect was to build up this apparently invincible bogeyman figure in my mind. He was a frightening character and Bernstein’s effective use of the distinctive musical cue for him played a part in that too. When you think about Wallach’s background he doesn’t really sound like a guy who was going to fit into westerns at all. Yet this role and his later work with Leone (among others) shows how that wasn’t the case. Thanks Colin. Film always works when they build instead of just beating us to death, Jaws is a great example of building the terror. Bot sure if you have read Eli’s book or listened to that commentary I spoke of but he is a great story teller and well worth checking out. many thanks for being part of this event, and you picked such a great character, who might but shouldn’t get overlooked in that huge cast. Agree that he did a fine job in westerns, another case of the more unexpected actor being amazing and creating a signature part, and like Colin I like the way he’s used in the movie, set up for maximum anticipation, very important for a villain.. Thanks. He sure did fit in with the dirty bandito look. Underneath it all just a talented actor. 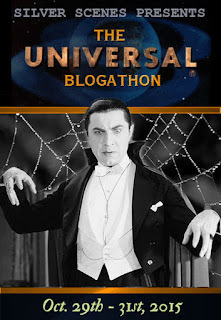 Believe it or not I just watched this movie yesterday. I loved the music. But the film was kind of a fantasy because in reality this Magnificent 7 would never have been let go by Calvera the first time. They would have all been shot. But then we wouldn’t have a great movie ending. Music is one of cinemas great scores. As for letting them go, as I mentioned he thinks to much and repeats his first mistake. Generosity. Thanks for checking in. Great write-up, Mike! In reading it, I realized that I’ve never seen this movie from start to finish. Your post makes me want to remedy that, post haste! Sit back and enjoy! Plenty of great scenes and Bernstein’s musical score to boot. 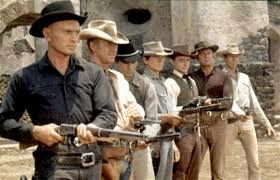 And what a cast led by the coolest man in black, Yul Brynner. It took me years to fully appreciate “The Magnificent Seven” beyond Bernstein’s score. The name Calvera should be as revered as his creator. 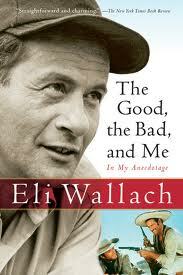 Eli Wallach is a treasure. Great analysis of a pivotal role in westerns and in the actor’s career. As a kid it was a naturally big film on a Sunday afternoon for a fun adventure. 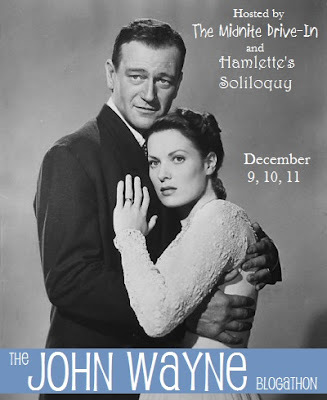 It was when i got older that you realize the depth of the performances and the script writing. Thanks for checking in. Excellent post! I have to say I have never watched this film because I just couldn’t get excited about it. But your post has made me see the error of my ways. 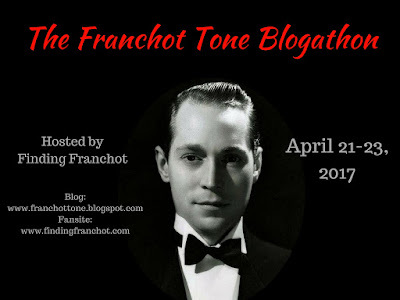 Thanks for including a Western in the blogathon. We haven’t had too many Western entries, and I was happy to see your selection. I hope you enjoy it. It’s fun to see these iconic guys developing as other than Brynner, the others hadn’t quite hit their mark yet. AS for picking this one, no particular reason as it was the first one to pop into my head that I figured wouldn’t already be taken like Max Cady and other well known baddies. All the best.